A few weeks ago I traveled to Nashville to attend the National Association for Music Education National Conference. The conference was located at the Gaylord Opryland, which is this massive hotel and conference center. I have previously been to the Gaylord at the National Harbor, but the Nashville location is so much bigger and grander. I was a bit weary of what I would be able to eat while attending this conference, but I did have some luck finding some appropriate vegan & gluten-free food! We arrived pretty late the first night after driving all day and where pretty hungry. After we checked in and dropped our stuff in our room, we went to check out the Cascades American Cafe, located in the main Atrium of the hotel. The waiter was very knowledgeable about gluten-free and vegan options. There were a couple of things on the menu that I wanted to try, but I decided to get a side sampler. I ended up ordering the black bean soup, a side of garlic green beans, and some Olive oil crushed fingerling potatoes. Oh, the potatoes. So good! Actually, all my sides were really good. Nathan ended up ordering the Cauliflower Steak with Raisin, Pine Nut & Caper Chutney. He enjoyed it well enough, but the price tag of $25 for cauliflower is pretty high. We enjoyed the food at Cascades, but it is very pricey. My 2 sides were $5 each, and the soup was $8. 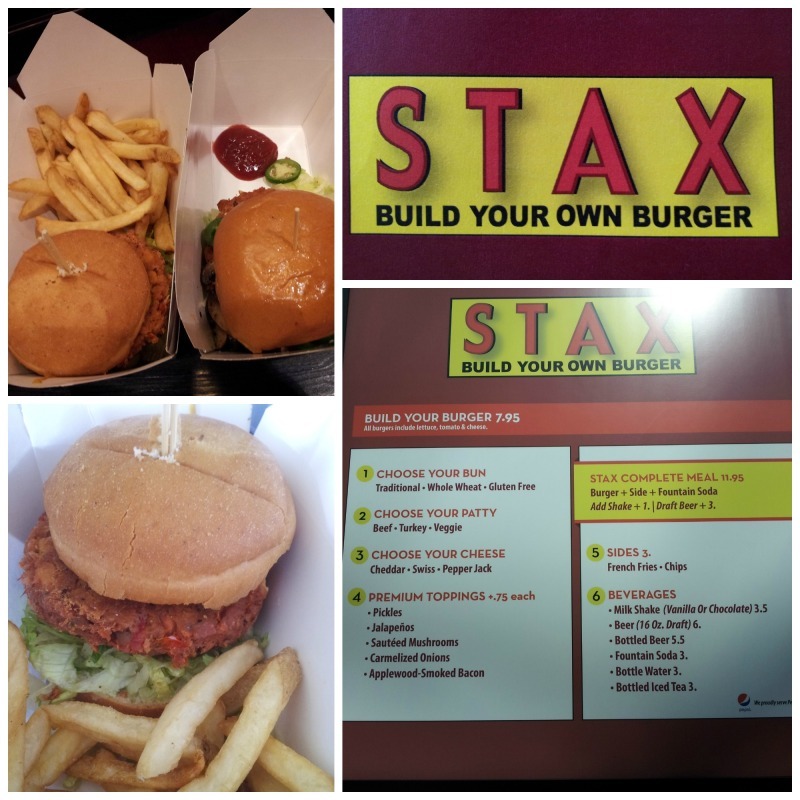 For lunch the next day I really wanted a burger, so I was pleasantly surprised that Stax had a gluten-free and vegan veggie burger, AND they also had a gluten-free bun and gluten-free fries. It took a little while to get my food because they actually had to make it (unlike the regular burgers that were already being mass cooked), but I am used to waiting for my food. The burger was ok, not great. It had a strange consistency to it, but this meal was certainly cheaper than the previous night’s at Cascades. Not located at the Gaylord, but nearby in Nashville, Nathan and I took a quick trip to The Wild Cow Vegetarian Restaurant. We feasted on tons of vegan food and desserts. 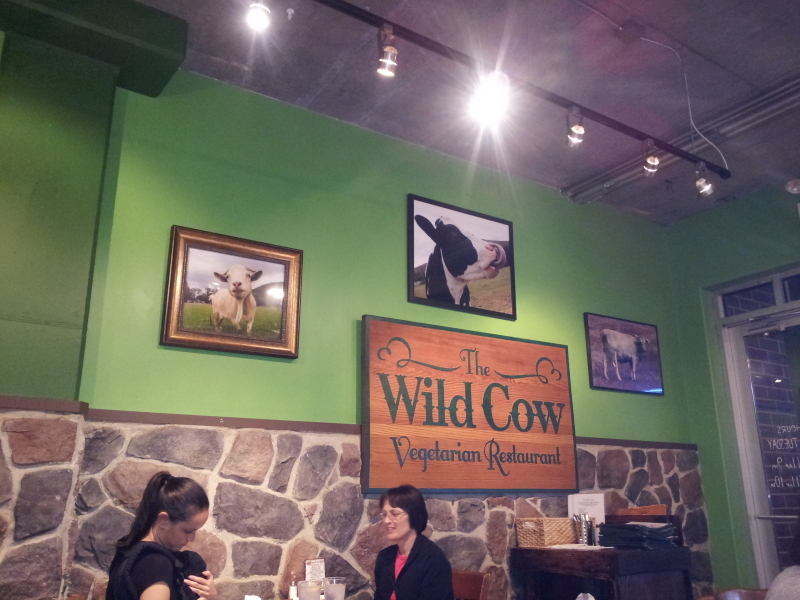 Please check out my separate post on my experience at the Wild Cow! I highly recommend checking out this restaurant if you are in the area! 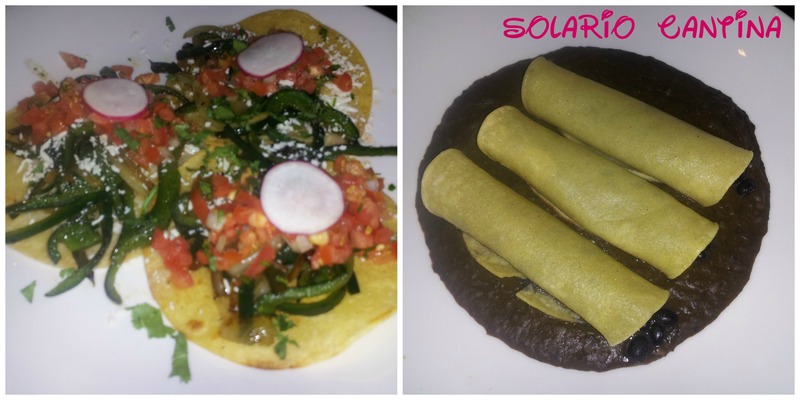 The last night that we were at the Gaylord, we decided to get some Mexican food at the Solario Cantina. The waiter told me that pretty much anything could be made gluten-free. We ordered the chips and guacamole service (which was delicious). Unfortunately, I did not take a picture of the menu, and can’t find it online, so I am going try my hardest to remember what everything is called. I think I got the veggie enchiladas. I got it without vegetables (because they were all vegetables I didn’t like) and got them with black beans instead. So, I had black bean enchiladas, with a black bean sauce, and a side of black beans with some corn tortillas. And you know what? It was really good! The black beans were all made a different way, so they all had a slight different flavor and consistency. Nathan ordered veggie tacos. Onions, peppers, tomatoes – yuck! But he enjoyed his meal. Just a warning, the rice is made with chicken stock, so it is not vegan friendly. Such a bummer! 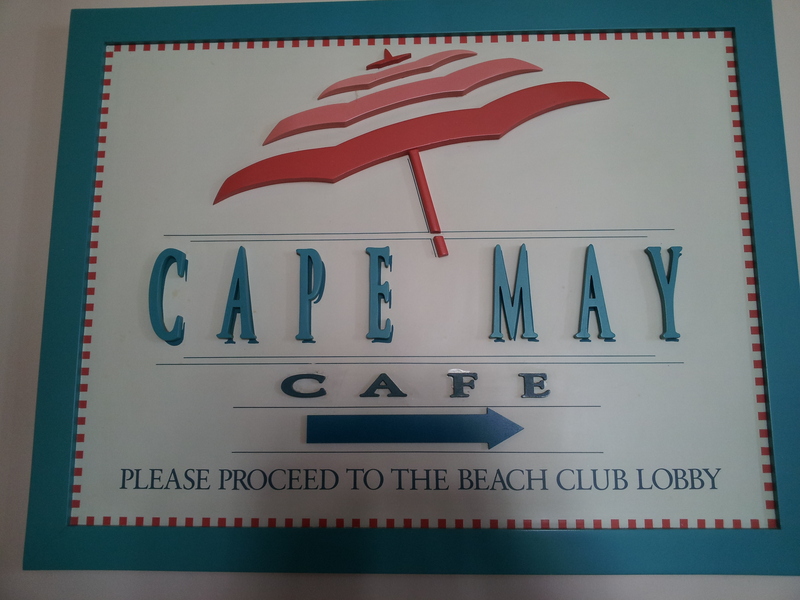 Regardless, this place was a bit cheaper than Cascades and the food was pretty good. So, if you ever find yourself visiting the Nashville Gaylord Osprey, have faith that you will find something to eat if you are vegan and/or gluten-free! Thank you for the review. I’m getting ready to stay at the hotel and I’m vegetarian and gluten free which always means trouble finding food. Great advice on places that are safe to eat at!